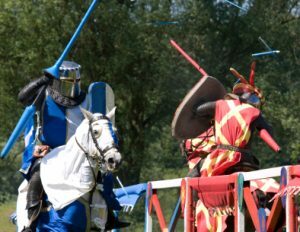 The May Day Joust of 1536 was the first outward sign that something was wrong in Tudor Paradise. Everything seemed perfectly normal at first, although Henry VIII was unable to participate due to his recent accident. Anne Boleyn’s brother, George, led the challengers and the King’s good friend and Groom of the Stool, Sir Henry Norris, led the defenders. At one point, Norris had trouble with his horse. It refused to run, so the King kindly offered Norris his own horse. 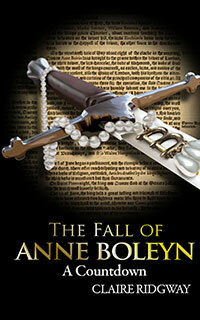 The Fall of Anne Boleyn: A Countdown is now available as a paperback – click here – as well as a Kindle edition. I’ve also done a book trailer video where I share my thoughts on the book and my aim in writing it – see the Video page. Anne’s heart must have been in her mouth when Henry left like that without a word. There must have been a very strange atmosphere, Anne must have been petrified, as I am sure she would have had a feeling that something was going on behind her back…it gives me the shivvers!! Is it recorded what Anne did after he left, did she stay to the end and try to carry on as normal? a very difficult thing to to when all eyes were on her. It is not recorded what Anne did but Henry left at the end of the joust so I assume that she would have also left and gone back to her apartments at Greenwich. She must have wondered what was going on. That is something that I would also like to know. Good question! Sir Henry Norris is one of my ancesters. I was born Arlene Elaine Norris on August 23 1950.